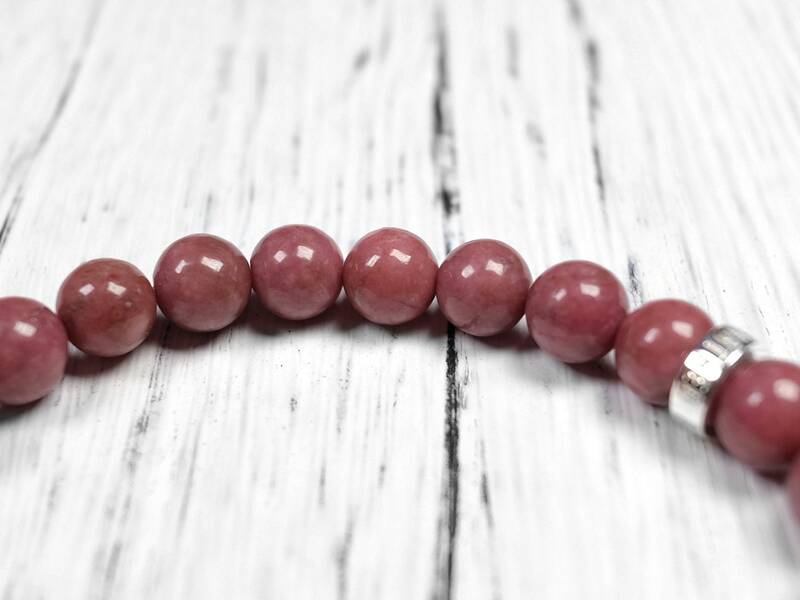 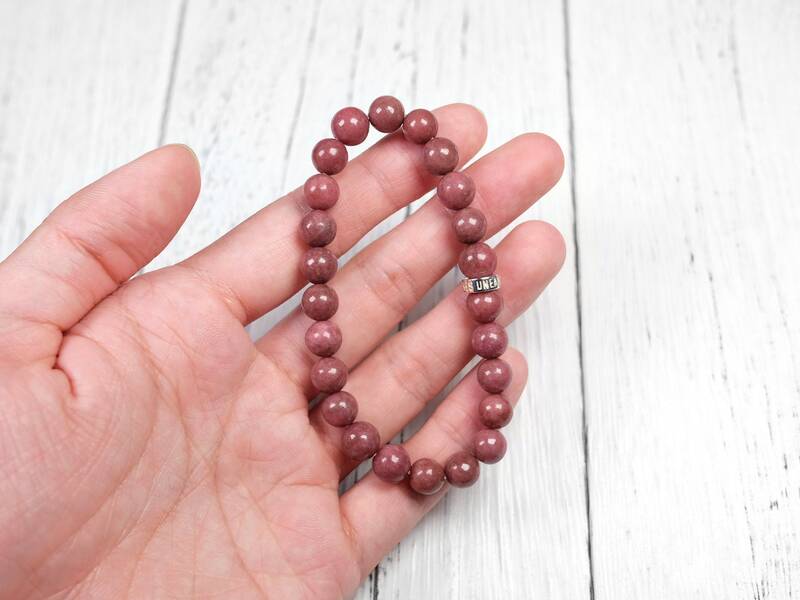 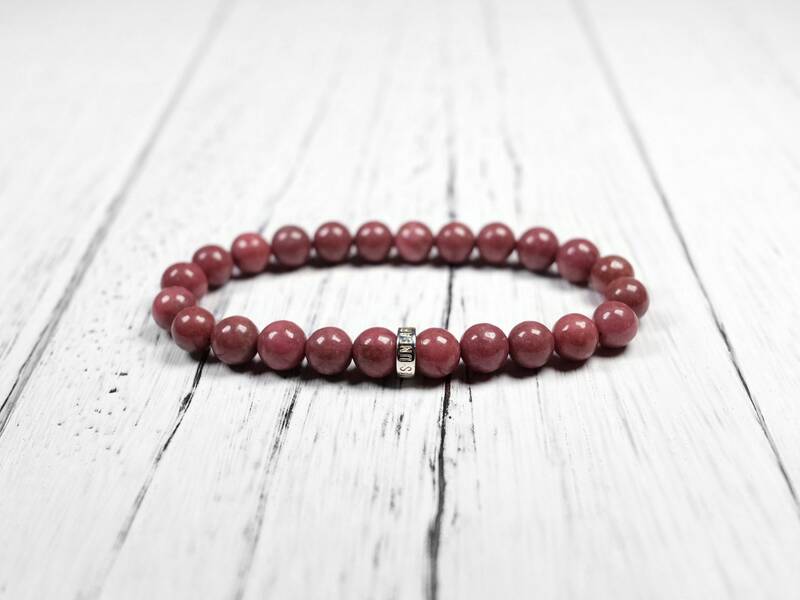 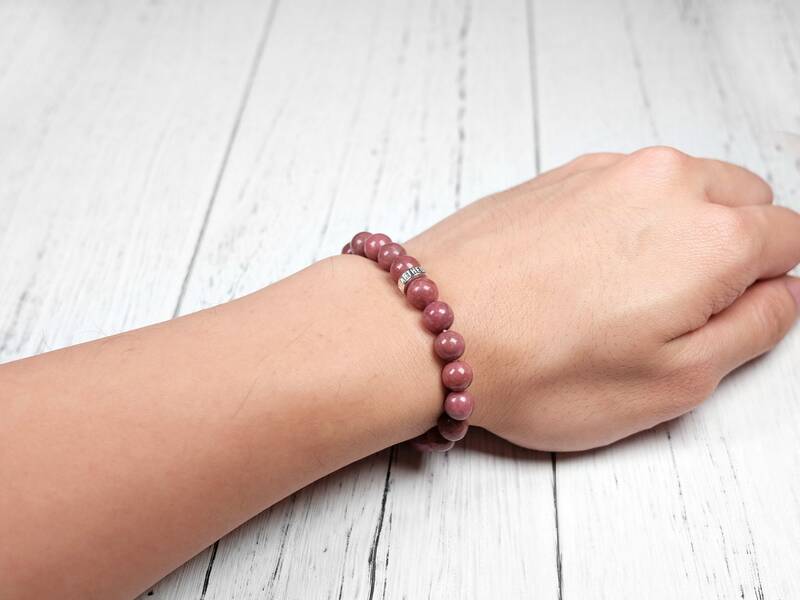 This rhodonite has a rich and comforting pink color. 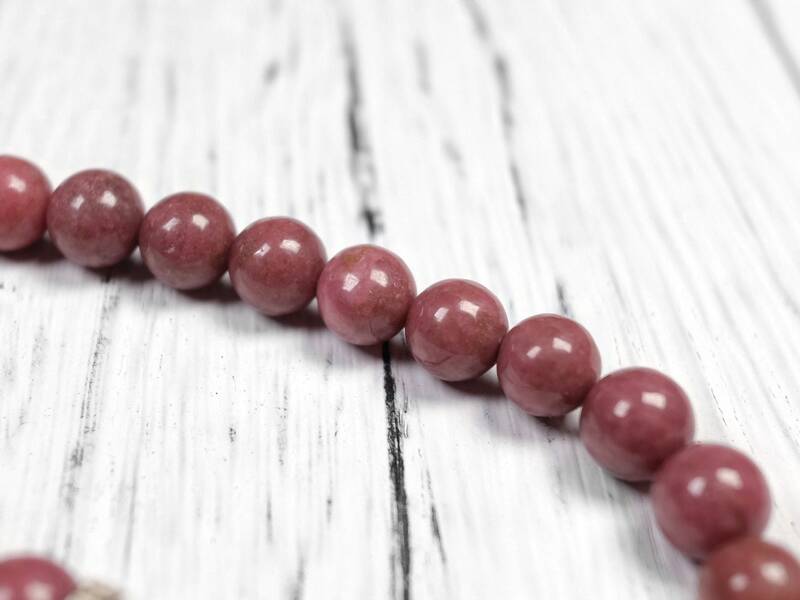 The color is very consistent. 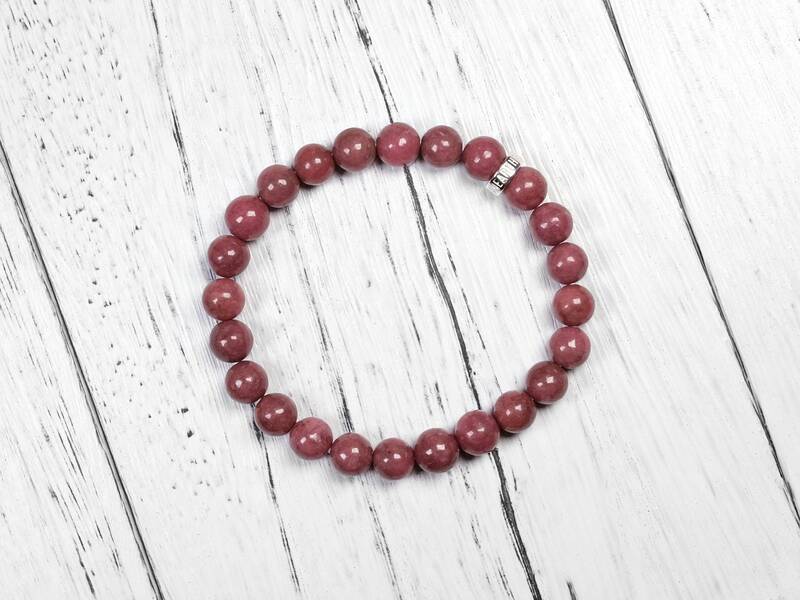 Only very little black or colorless spots. 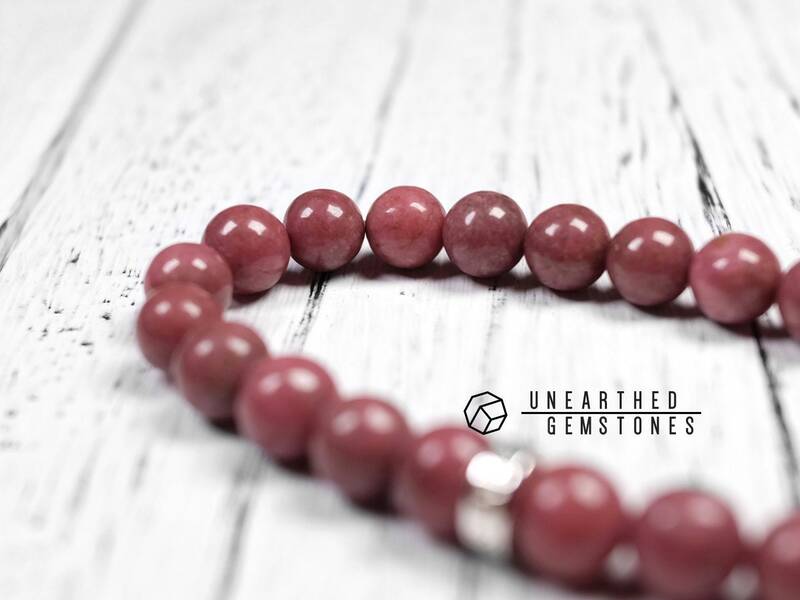 Overall great quality rhodonite. 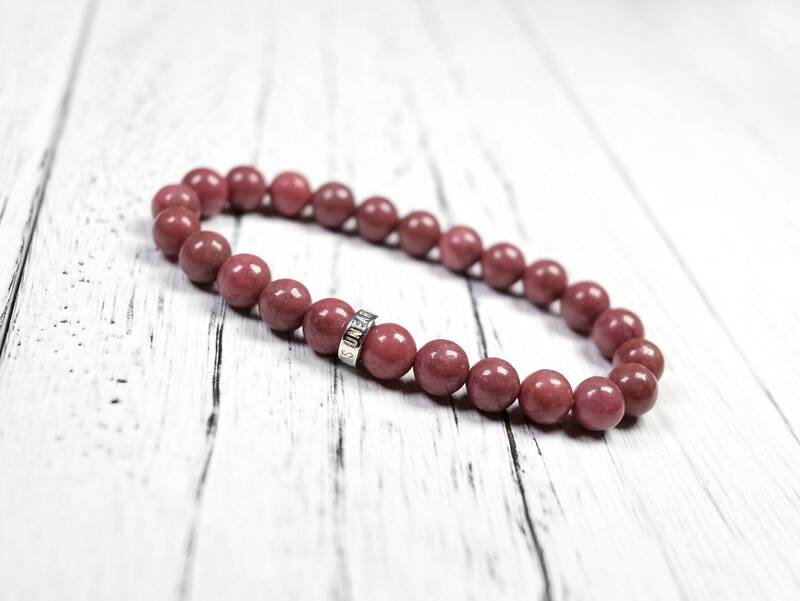 With the 925 signature bead, this bracelet is a great way to appreciate this gift of nature.